Former National Physique Committee national bodybuilding competitor. 1989 1st runner up Jr. U.S.A. middleweight. 1989 Jr. U.S.A. 2nd place finisher in the mixed pairs division. 1990 Jr. National Championships 4th place finisher in the middle weight class..
1990 Jr. National overall class winner mixed pairs. 1990 IFBB North American Championships 4th place finish in the middle weight class. 1990 IFBB North American Championships 2nd place finish mixed pairs division. Nationally qualified bodybuilder and figure competitor. Former personal trainer and gym owner. NRA Certified Instructor in several disciplines. Brenda has an expansive background in both sports and nutrition. Having spent her younger years working as a professional dancer/acrobat she then moved into weight training, health and nutrition. She began a successful bodybuilding/figure career that includes seven top 5 placings at the national and international level within the National Physique Committee (NPC) and the International Federation of Bodybuilding (IFBB). She has been regularly featured on ESPN’s American Muscle Magazine program as well as appearing in numerous publications. She is a former personal trainer and gym owner. She has an Associate of Science degree with an emphasis on biology/human anatomy and physiology. She is currently working on her baccalaureate in nursing. Realizing that she enjoyed shooting for self defense and sport she ventured all the way into the instructor’s arena. 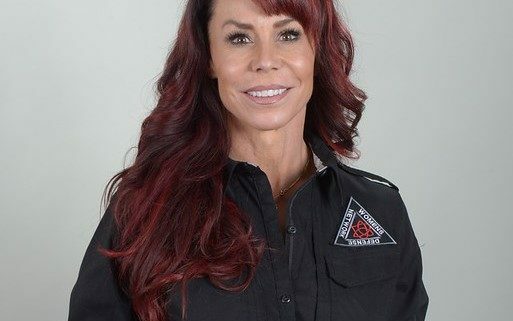 She is a certified, vetted instructor under the NRA platform and is continuing to study and certify as a defensive firearms instructor as well as working exclusively for Homeland Personal Protection in Las Vegas, NV.